­­The joys of the coming holiday season have been tempered by the recent IPCC report that paints an alarming picture of our planetary condition. The urgency of dramatically reducing global carbon emissions is real, yet few appear to believe that humans will make the seemingly hard choices necessary to meet the Paris Climate Agreement limits. Seen from the perspective of policy makers, the general public, and even think tanks, the battle seems unmanageable. SCGI, however, is uniquely positioned in the trenches at the front of this battle and we believe that game-changing victories are imminent. Against this dismal backdrop, I had separate conversations with two of the most esteemed leaders of India’s nuclear program, Dr. M. Srinivasan and Dr. Ravi Grover. Ravi was the key negotiator in the agreement during the G.W. Bush administration to allow nuclear power technology sharing, and we have collaborated on various projects over the years. We spoke frankly about reactor designs. India is building a couple of fast breeder reactors but their current reactors and plans are either light- or heavy- water designs. Both leaders agreed that these designs are expensive and slow to build, and that fast-neutron reactors and molten salt reactors (fast or thermal) are probably the only options for an effective and timely response to climate change. Yet MSRs were not even mentioned in the two days of presentations, and fast reactors were not discussed as an option for rapid deployment. I was encouraged to get their realistic response, but discouraged that they were only sharing it privately. The conference was mainly focused on supply chains and legal issues for existing reactor programs, so it is somewhat understandable. However, unless they promote a more aggressive plan, the outlook from India is pretty grim for all of us. A few years ago, I was invited to Paris to advise the International Energy Agency on an annual World Energy Outlook publication focusing on the future of nuclear power. The IEA is considered the foremost energy prognosticator, yet even they refused to countenance the possibility of a future scenario in which advanced nuclear power systems could be both economical and fast to build. The energy forecasting models they presented left nuclear’s share of the world energy supply in the decades to come nearly where it is today. Each year I participate in several such conferences, and that outlook is common to all of them. So why does SCGI have a different view of the future? Most forecasts are primarily focused on past trends in energy utilization whereas SCGI is engaged in present negotiations about tomorrow’s projects. Consequently, “renewable energy” is forecast to grow because of its past growth, despite the fact that the preponderance of current research shows it will not be sufficient to curtail climate change. Graph from Science Magazine The view at SCGI reflects our unique role and attributes. We are actively working with engineers, industrialists, and politicians behind the scenes. We are able to facilitate projects because of our broad technical knowledge, constructive relationships, and independence from corporations, governments, and membership-driven NGOs. We believe that we have a more complete view of the present and future opportunities. 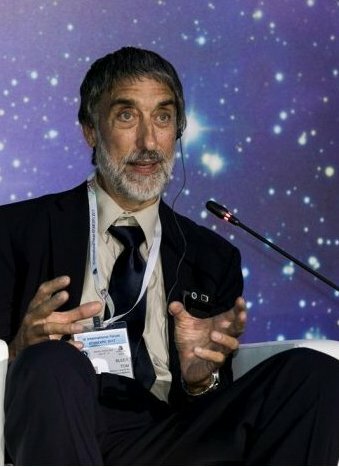 It is clear to us that a) nuclear energy is essential to limit global warming; b) existing reactors should be supported to remain operational during their useful lifetimes; c) rapid expansion is possible using advanced nuclear power systems; d) several entities are passionate and able to pursue these goals. During the past several weeks, we have seen a variety of public developments that support our views. Two major environmental organizations have announced their support for nuclear energy. The Nature Conservancy promoted its importance in their far-reaching and careful analysis, The Science of Sustainability, published on October 15, 2018. The Union of Concerned Scientists—long opposed to nuclear power—has explained its change of perspective in a lengthy review,The Nuclear Power Dilemma, published in November 2018. These represent difficult and profound decisions for organizations that derive substantial support from members, some of whom are still undoubtedly opposed to nuclear power. These two organizations have demonstrated that it is increasingly difficult to claim to be fighting climate change and not endorse the most reliable source of clean energy. The US government has also revealed new support for nuclear power. The Department of Energy just announced that GE-Hitachi will build a fast reactor (based on the IFR design SCGI has championed since 2009) for testing purposes by 2026 at Idaho National Laboratory. None of these developments, individually or collectively, is sufficient but they are definitely signs of progress. During the past year, SCGI has engaged with governments around the world, often at very high levels, to inform policymakers about technical possibilities and to make connections between politicians and industry to get advanced reactor systems built far sooner than current plans. We arranged meetings in Washington with presidential advisors from South Korea and Indonesia, for example, to discuss advanced reactor projects with DOE people, Congressmen, and advisors of the U.S. executive branch. I have discussed the technological aspects of advanced reactor systems with scientists and policymakers in Russia, Korea, South Africa, the UK, Sweden, France, China, Japan, and the UAE. Even countries as dependent on oil and gas production as Saudi Arabia are finally coming to the conclusion that their days of drilling and pumping are coming to an end. SCGI is now deeply involved with expediting some of the most promising projects that we have been nurturing for several years. We would like to share all the details, but we are required to keep much of it confidential. What we can say is that our efforts to promote rapid construction of commercial-scale prototypes of three systems that could power the planet now involve the US, China, South Korea and others. The three systems are metal-fueled fast reactors, molten salt reactors, and the spent fuel recycling system called pyroprocessing. The latter was the result of work by Yoon Chang, a charter member of SCGI, with the generous financial support of our organization’s primary benefactor. Dr. Chang expanded on the proven pyroprocessing technology from the Integral Fast Reactor project. It profoundly minimizes the problem of “nuclear waste” by recycling waste from any type reactor into more nuclear fuel. All three of these synergistic projects could be built and demonstrated in as little as three years, and the reactors are designed for economical mass production. One of the reactor designs has been developed by Thorcon, a group founded by accomplished ship builders. I have been working with this group for a while now, since I believe they have the best chance of bringing a safe, economical reactor to market very soon. They plan to use modern shipbuilding technology to mass produce “power ships” – complete power plants using molten salt reactor modules. Artist’s rendering of two 500-megawatt thorcon power plants that can feed directly into the grid.It is a design that could help solve a variety of problems ranging from economic constraints to geographic limitations to insufficient availability of skilled labor. Many developing countries have little money to spend on large capital projects like power plants. Yet their citizens and nascent industries are in desperate need of energy. At the same time, nations largely dependent on fossil fuel extraction like Russia, Saudi Arabia, and UAE have the money to build fleets of power ships. Those countries could continue to help provide power to the world, while winding down their production of fossil fuels as the world transitions to using electricity for transportation and other needs. Developing countries could initially use their limited resources to extend and develop their electric grids while minimizing or even obviating the investment in generation facilities. This prospect has stimulated a lot of interest in Saudi Arabia which, with help from Korea, just built the world’s largest high-tech shipyard. It is absolutely possible to mass-produce nuclear power systems. (See graph and references linked above.) There are many shipyards around the world that could become involved in such production. They could build both self-contained power ships and reactor modules that could be placed in underground silos where navigable waterways are not available. Within a decade, these systems could more than double the world’s current nuclear power generation using designs that are safer and more proliferation resistant than anything in use today. While SCGI has been involved with other technologies such as municipal waste recycling and vehicle propulsion, the urgency of climate change and the need for a global-scale solution to energy demand has led us to focus primarily on getting these systems built. Success in this area would not only put the brakes on carbon emissions but would provide energy to raise standards of living in developing countries. We know that it can be done and we can’t afford to fail, for everyone’s sake. While there are a number of terrific organizations promoting nuclear energy in the fight against climate change, I believe that we are in a unique position to accelerate the process. We are facilitating collaborations and technologies that have the best chance of rapidly limiting the impact of climate change. We hope you will join us and would greatly appreciate your support. It is an opportunity to be an active part of the global solution and promote a better life for all – for many generations to come. On behalf of the dedicated, volunteer Board of SCGI, thank you. SCGI, Inc. is a 501(c) 3 Public Charity, Tax ID # 26-4258384. Donations are tax deductible to the full extent of the law.